Yesterday was Australia day – the 26th of January. Papua New Guinea was an External Territory of the Australian Commonwealth from the First World War until 1975. Since independence, PNG has retained close ties with Australia. 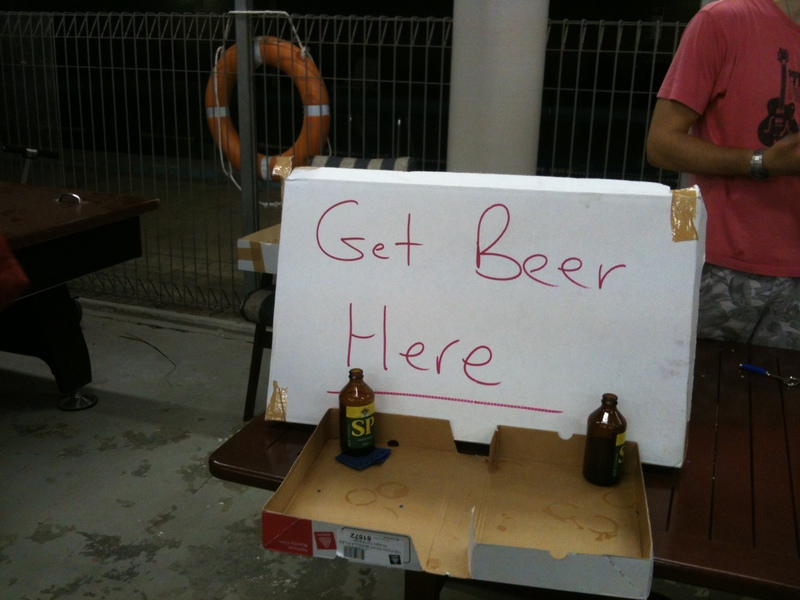 Most people that I have met have a strong affiliation with Australia. People here love the Australian Rugby League and one often sees cars with “NRL in PNG” stickers on them – supporting the push for the addition of a team from PNG in the Australian League. As a result of these strong ties, there are hundreds of Australians working here. Some are business people. Many are here as part of humanitarian programmes. Some work for Australian AID or its many projects in PNG. 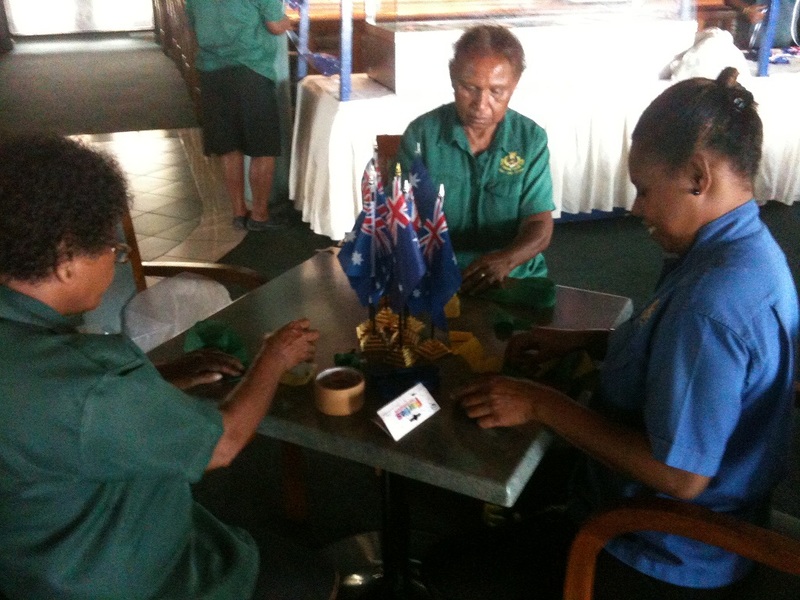 Some start off in a programme like that and end up loving the lifestyle and making PNG their permanent home. Australia Day is celebrated here with a great deal of enthusiasm, and this year I attended two events. The first was at a compound where a number of Australians live. The security for the compound is impressive. 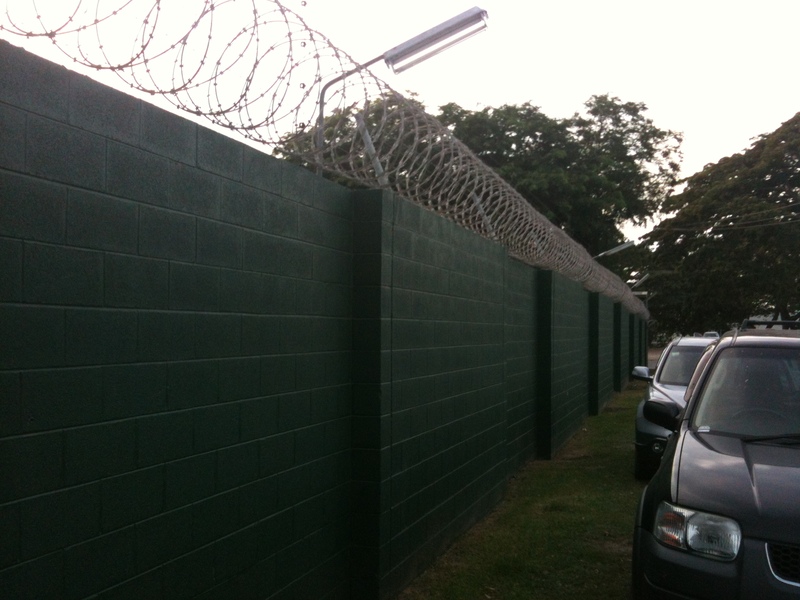 A 2 1/2 metre high brick wall, topped with razor wire and then an electric fence. Apparently, despite all of this there has been at least one incident where someone jumped the fence and plundered some houses inside. There were about 200 people there (mostly Australians) and the event was hosted by the Australian High Commissioner (when countries are both members of the Commonwealth they have High Commissions, not Embassies). There was a cover band that played a bunch of classic rock songs, including a range of Australian hits from the 1980s and 90s. I was quite impressed when they broke into “Beds are Burning” by Midnight Oil (the singer of which, Peter Garrett, is now the Federal Minister for Education in the Australian Government). They served sausages in a slice of bread (with tomato sauce, of course). 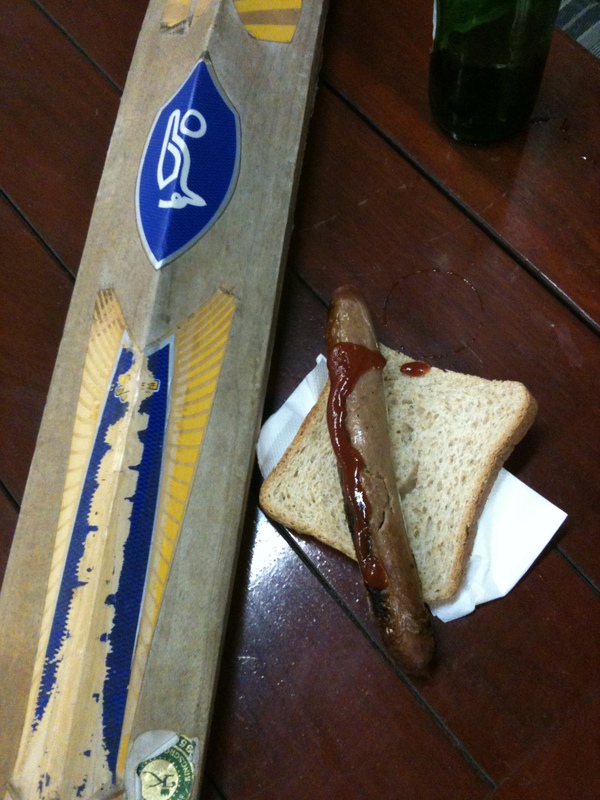 Only Australians would hold a cocktail party and serve sausages in bread. I’m starting to meet some folks around town and get a feel for the place. People tend to operate in cliques and sometimes it can be hard to connect with new people. But I have made a few friends already. The second event was at the club where I go to the gym. 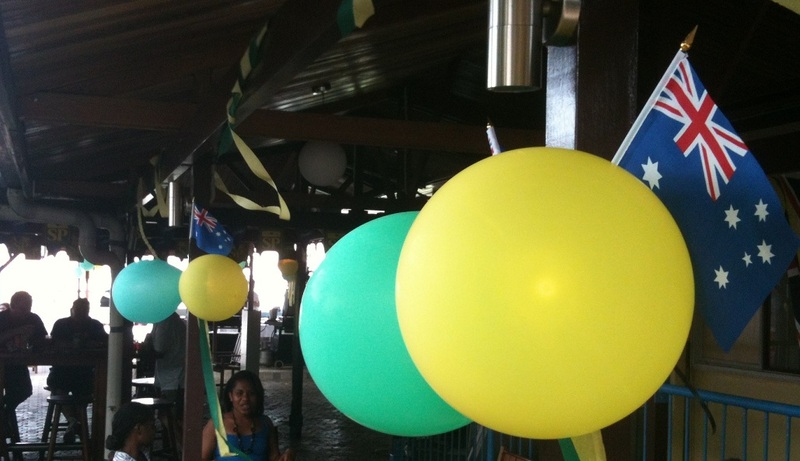 They set up green and gold balloons and hung Australian flags around the place. I passed the afternoon eating prawns and loafing by the pool. 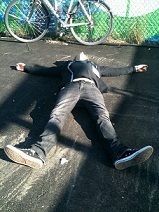 It was one of the more memorable Australia Days that I’ve ever had, especially since I was not in Australia for it. I’ve been here for a week now, and I’m feeling much more settled. The house is fairly well-equipped now. 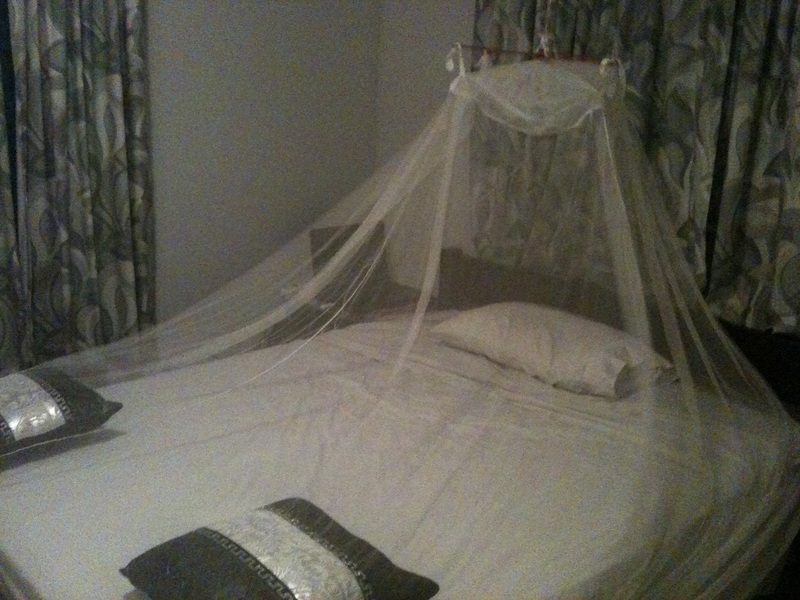 My mosquito net is working effectively and protecting me from the scourge of Malaria. Owen and I went to the shops this morning and bought a flat-screen television and a surround sound system. We sat around watching TV and relaxing tonight, after I had finished yoga – it was outside and we watched the sun set while practicing our downward dogs. 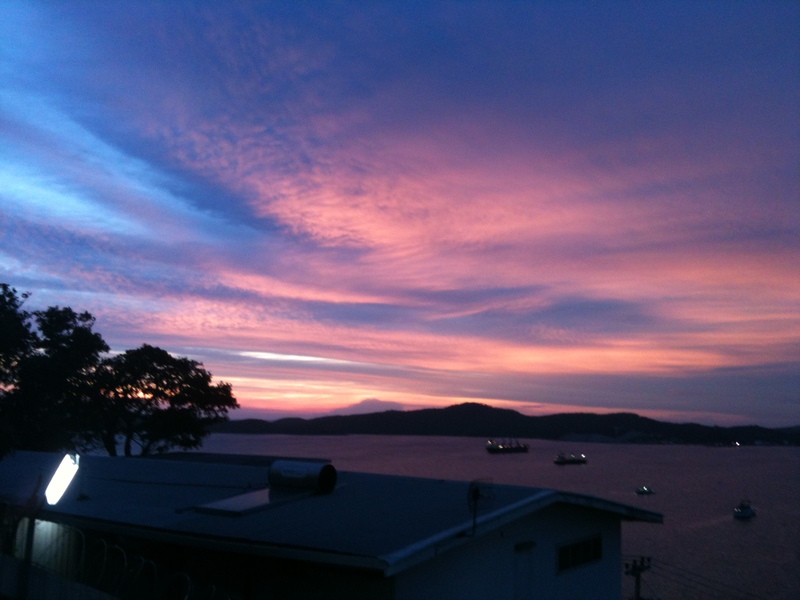 That was a great way to wrap up my second weekend in Port Moresby. Sadly no. In fact recent stats show that Australia has just as big of a problem with obesity as the USA now. People think of us as rugged crococodile wrestling folk when in reality we are more likely to be seen downing a Big Mac while our Toyotas are stuck in traffic.